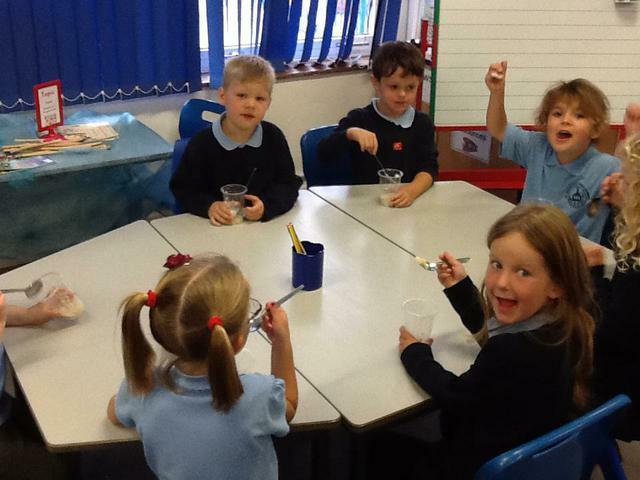 Welcome to Year 1: Blackbirds! Welcome to our class web page. We are looking forward to sharing lots of our learning opportunities with you, together with helpful links to websites, photos and videos of events during our school term. Spring term has been eventful, we have enjoyed two exciting topics, Food Glorious Food and I Love Lowestoft. 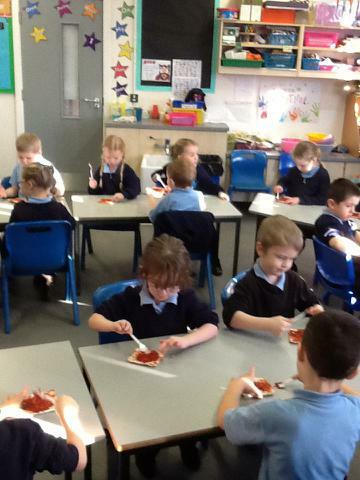 We began back in January with a day of cooking up a feast for our parents and friends. 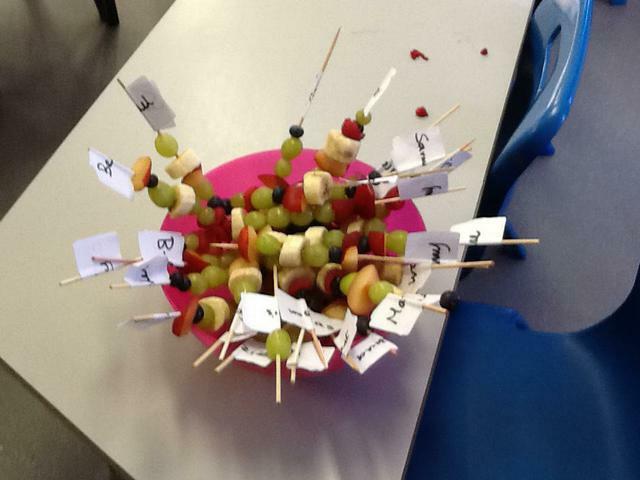 We made healthy snacks such as fruit kebabs, wraps, pizza with vegetables, yoghurt dips and cheese straws. 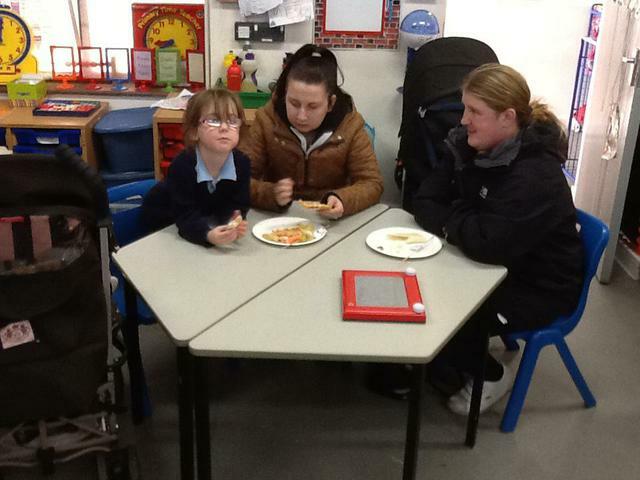 Here are some photos of adults enjoying our feast. Through the topic we explored where food comes from, how to make healthy choices, poems and songs about food and created some amazing food acrostic poems. 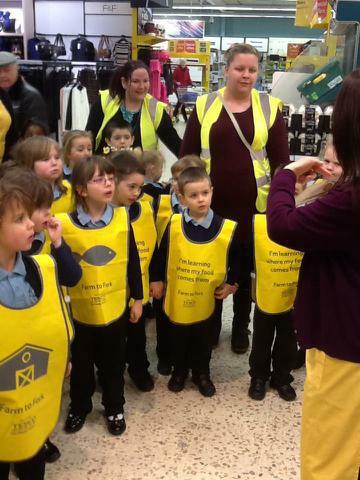 The fabulous finish for us all was a visit to Tesco to take part in their healthy eating food trail. Spring term continued with our I Love Lowestoft topic. We began with a walk around our local area to see local landmarks, there were lots of landmarks near our school, such as the Sixth Form College, Sports Centre, Schools and we could even see Gulliver our famous wind turbine! The walk launched our interest in where we live and we have spent time comparing Lowestoft in the past and now, looking at features of our town, found it on maps and written stories about visits to the seaside. Poetry was a focus again this term and we wrote our own poems in the shape of waves all about the seaside, drawing on our own experiences. 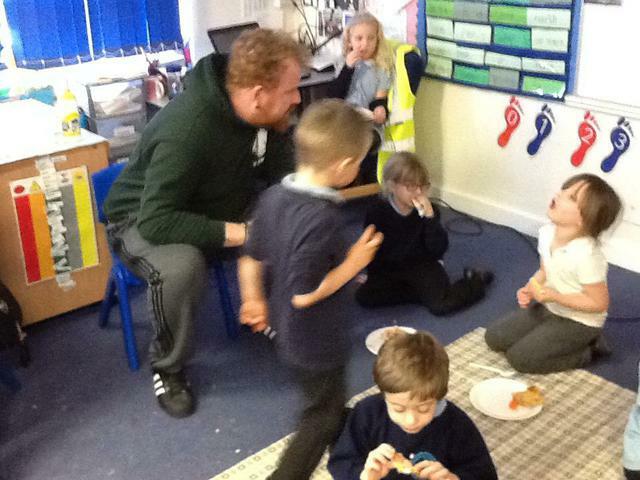 We have learnt the story 'The lighthouse keepers lunch' off by heart using Pie Corbetts Talk for Writing technique and then wrote our own versions. We chose this story as we have a magnificent lighthouse on our own coast line to protect ships from crashing into rocks. 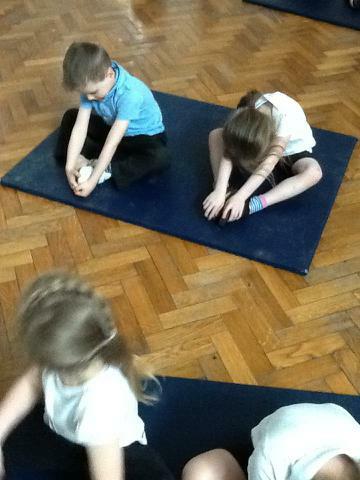 In PE we have explored Yoga! 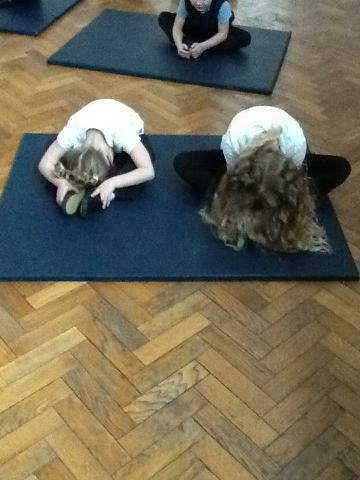 We never knew it could be so much fun, we listen to a story and do the yoga moves at the same time. We are finishing this term with a visit to Sparrows Nest to visit some of the landmarks we have been learning about, we hope to see the lighthouse, Gulliver and may even pop into the Royal Naval Patrol museum to see pictures of Lowestoft in the past. We can't wait for the Summer Term, we are going to be immersed in the learning about Roald Dahl and chocolate! The second term of Autumn has arrived and we have started with an exciting visit from Africa Alive! We met a Millipede, a Tortoise and a Snake! Mrs Mayers was a little frightened of the snake but she bravely touched it just like we did! perhaps you could try it at home. We have a big day this Friday, it is our fundraising day for Children in Need and also our creative writing day all about Wizards and spells. We are using the book 'Room on the broom' to inspire our writing. We hope to see you all in magical costumes! We are even getting the chance to meet some real owls in the morning. 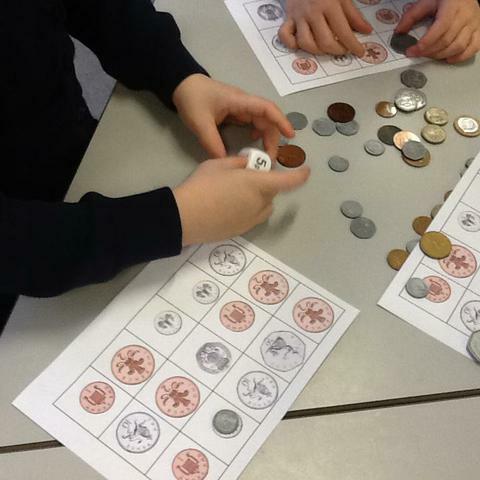 In maths this week we have learnt all about the different coins and their values. 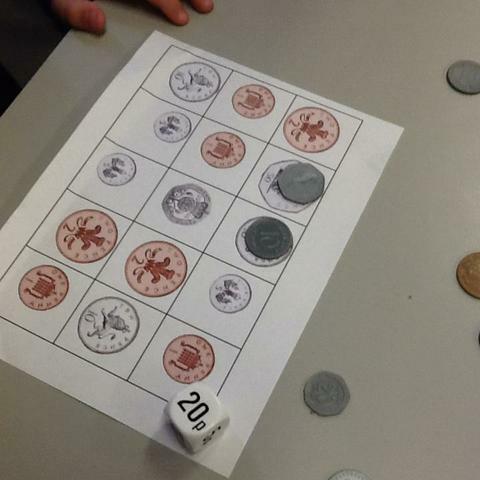 We all agreed we would rather receive a £2 coin than a 1p coin for our pocket money, showing that we understand that it is worth more in value. This afternoon we had lots of fun, we labelled our body parts to understand the similarities and differences between humans and animals. 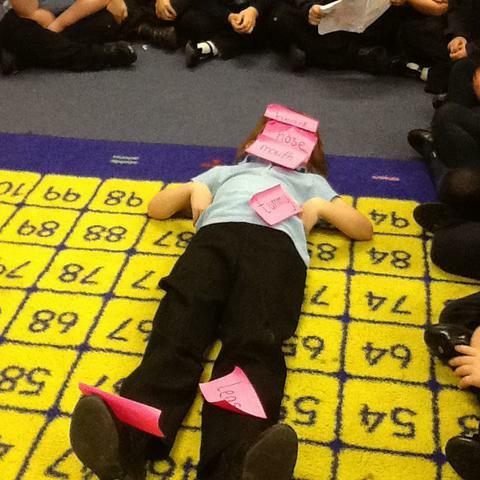 We had lots of giggles while we did this as some of the poor children got covered in bright pink labels. 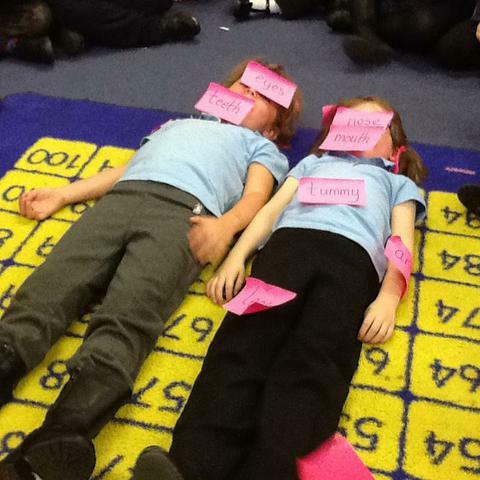 We showed great understanding of our bodies and the names of body parts. One child even suggested bones and skin. 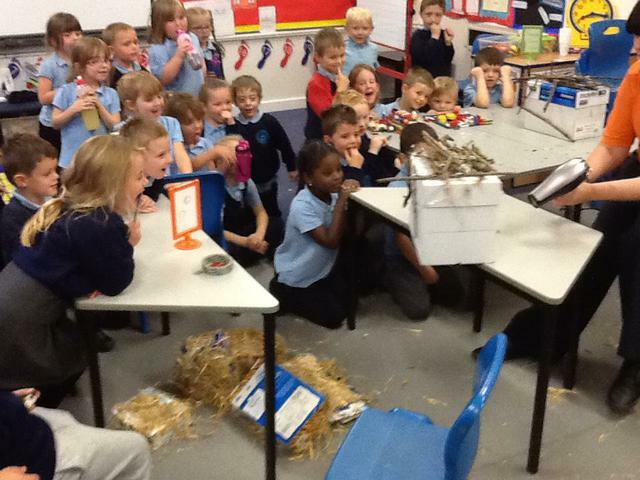 We cannot wait to continue our investigations around animals, their appearance, their needs and their habitats. Hopefully we can share some of this exciting learning with you at home. Thanks for visiting and we will update again soon! Autumn term began with a sparkly start. 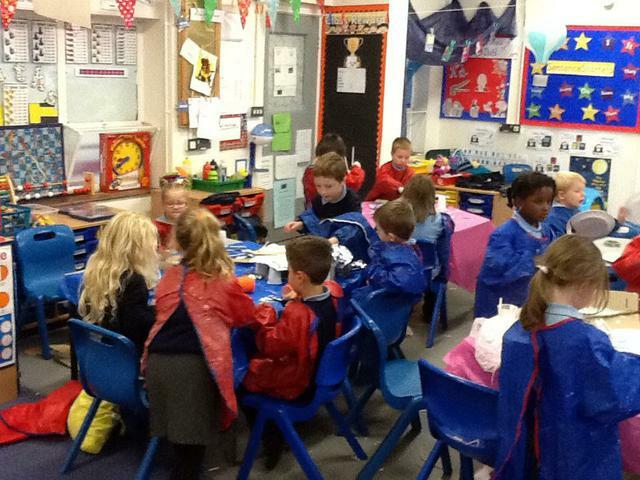 We all arrived at school dressed as Prince and Princesses to launch our 'Designers in a Fairytale World' topic. 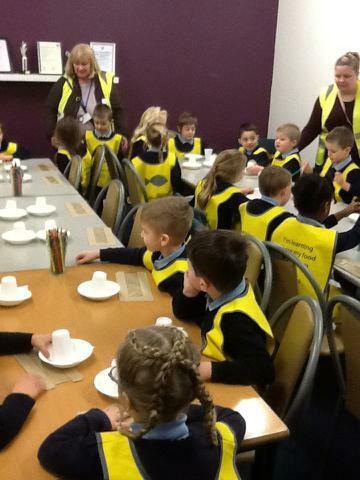 The children looked great and enjoyed a day of Fairytales, games and a royal tea party in the afternoon. 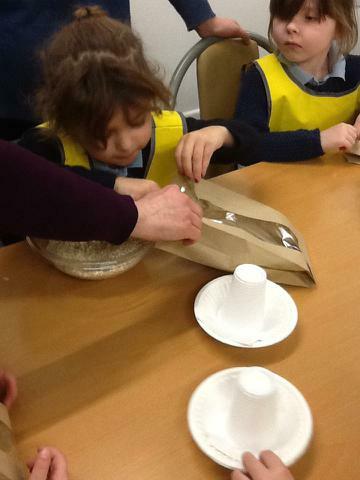 As part of our topic this term we have made and tasted Porridge like Goldilocks, designed houses for the Three Little Pigs and bridges for the 3 Billy Goats Gruff. In maths we have been exploring Number bonds, these are two numbers that add together to make a number, we also call this Part Part Whole. 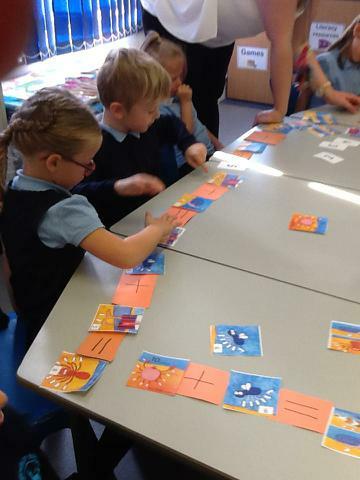 The story book '1 is a snail, 10 is a crab' helped us with our understanding of addition and number bonds. Here we are using pictures to help us solve maths problems. 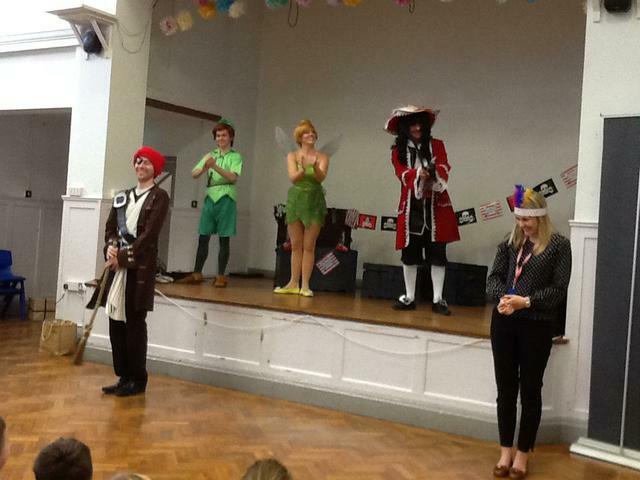 involved, we were lucky to be visited by a story telling company who told us the story of 'Peter Pan'. 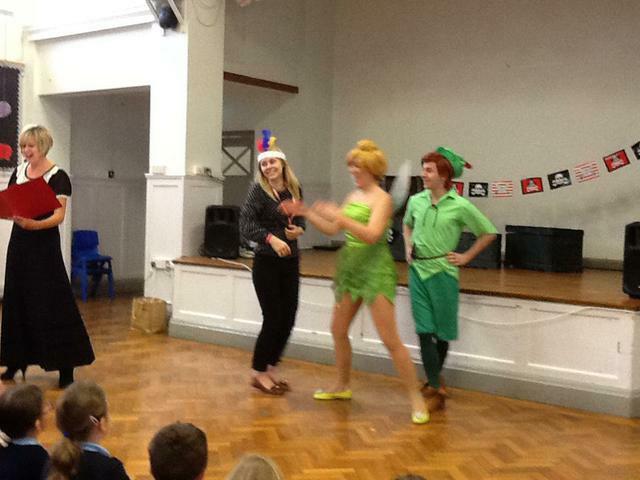 The children loved every minute and enjoyed seeing Miss Peek and Mr Field getting involved! Here are some photos from today. Next term we are learning through the topic 'All creatures great and small' so can not wait to share our exciting learning with you then and of course all our Christmas performances, parties and celebrations.